Midwest Young Artists presents Inspire EXCELLENCE concert, on April 24th at 6 pm at Northwestern University’s Pick-Staiger Concert Hall featuring our internationally recognized Symphony Orchestra, heralded as one of the finest youth orchestras in the country. The program will include guest artist, Carrie Dennis, viola soloist in Bartok's Viola Concerto and Beethoven's Overture to Leonora #3 and Stravinsky's Rite of Spring. Carrie Dennis has been the Principal Viola of the Los Angeles Philharmonic since 2008, after being awarded the position by Esa-Pekka Salonen. She graduated from Evanston Township High School in 1994, attended the Curtis Institute of Music on two occasions, earning a Bachelor’s degree in Violin and an Artists’ diploma in Viola. After studying with Michael Tree and Joseph de Pasquale, she became Assistant Principal Viola in the Philadelphia Orchestra for four years. 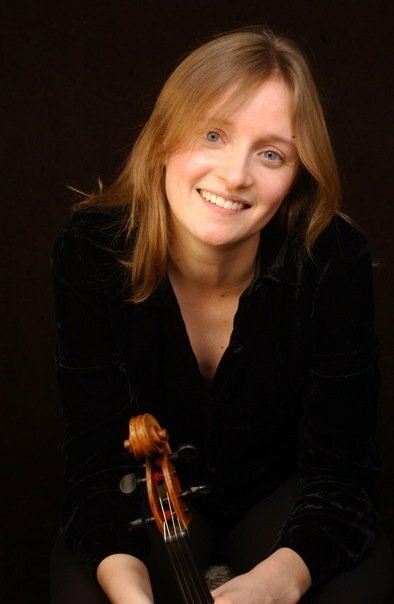 Dennis became Principal Viola of the Berlin Philharmonic under the baton of Simon Rattle, where she stayed for two years. She has participated in the Verbier Festival, Switzerland; at Tanglewood as a fellow; and at the Barga Chamber Music Festival, Italy; the Grand Tetons Music Festival; and the Moritzburg Festival in Germany. She has taught and conducted master classes at Northwestern University, USC, UCLA, the Colburn School, and the Juilliard School, as well as the American Viola Society and the Orchestra of the Pacific in Vancouver. When not playing classical music, Carrie Dennis enjoys her two identical twin sons – Atticus and Finneas – as well as improvising and collaborating in an ambient electronic music group, Mico Nonet.